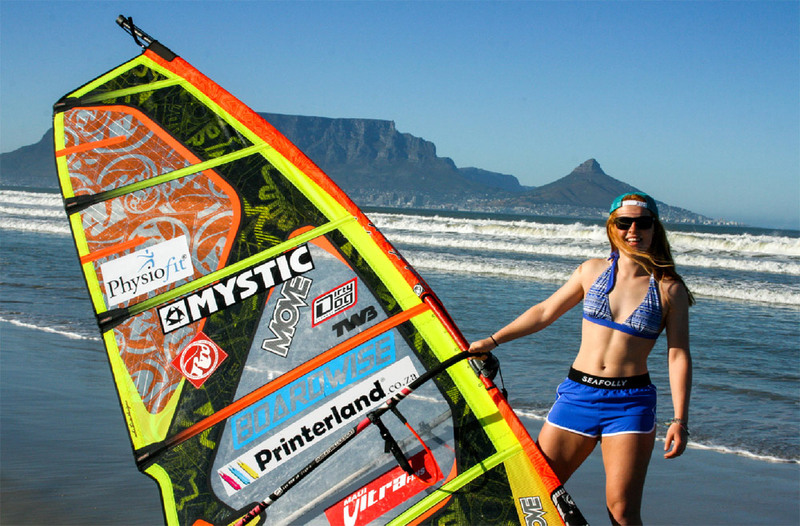 Printerland.co.za is proud to be sponsoring Ladies Freestyle Champion windsurfer Sarah Jackson. The windsurfing prodigy chooses to train in Cape Town’s picturesque beaches including Sunset Beach and Melkbosstrand, training alongside World no 1 & 2 wind surfers Sarah Quita from Aruba and Arnado Vrieswijk from Bonaire. The 18-year-old is quickly making a name for herself and won 2 championship events last year. Sarah is set to compete in France in April at the under 20 world championship as one of the youngest and highest prospects on the tour. All of us at Printerland.co.za wish her the very best of luck for 2017!!! This week Printerland was delighted to receive an award for being EPSON's top reseller in South Africa. Following a glamorous awards ceremony in Johannesburg, Hugh Davies of EPSON paid a personal visit to the Printerland team in Cape Town to present the award to Sales Director Marcel Virissimo. Printerland recently worked alongside The HQ Coaching Centre to provide support for UK/South Africa initiative ‘Afri-Twin’ which links schools from both countries together by delivering sports coaching sessions across South Africa in order to promote global learning, greater cultural tolerance and the improvement of learning facilities in disadvantaged schools. A recent trip over the Easter period saw 15 UK students travel from Manchester to provide coaching sessions to schools across Cape-Town. 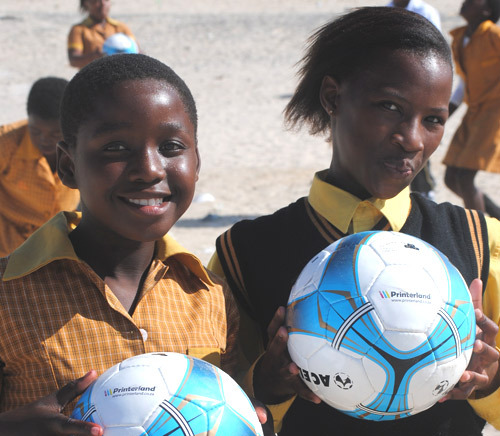 The HQ Coaching Centre has been delivering projects in Cape Town for over 4 years and now works with over 5,000 children each week. Printerland is delighted to announce its support for STEPS, a regional non-profit organisation focused on alleviating the crippling condition of clubfoot in southern and eastern Africa. More than 85% of children born with this disability in southern Africa do not have private medical aid cover or simply have no access to adequate treatment. Thanks to Printerland’s generous R12,000 donation, STEPS will be able to provide support and equipment including braces, casts and shoes to treat at least 4 children born with clubfoot for the 4 years required for the condition to be corrected. 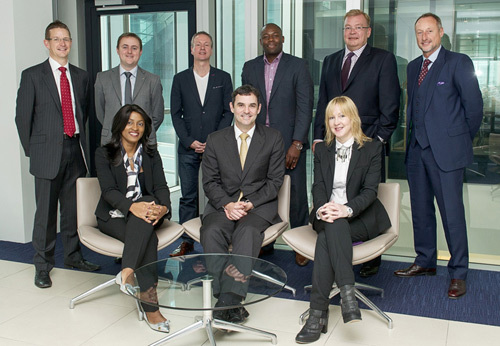 Amongst those joining Graham on the prestigious panel were Jeff Gable of Barclays Africa, owners of ABSA and Lynne Gillen, an international trade advisor of UK Trade & Investment. We are pleased to announce our support for the 'Vis Moz bike ride', a vast, coast to coast journey which saw Kevin Betts and his fundraising team cycle the 174 mile route from Ravenglass to South Shields in the UK. Through our ongoing community sponsorship scheme, we regularly provide financial support for numerous charities and have recently given sponsorship to 'Habitat for Humanity' which is also based in Africa. Vision Mozambique's aim is to reach orphaned children in Mozambique to help give them an opportunity to grow up in a safe environment. 'Habitat for Humanity' was founded with the sole aim of tackling poverty housing on a global scale, and thanks to some much appreciated sponsorship by Printerland the project recently helped change the lives of twenty families in one of the townships of Cape Town, South Africa. 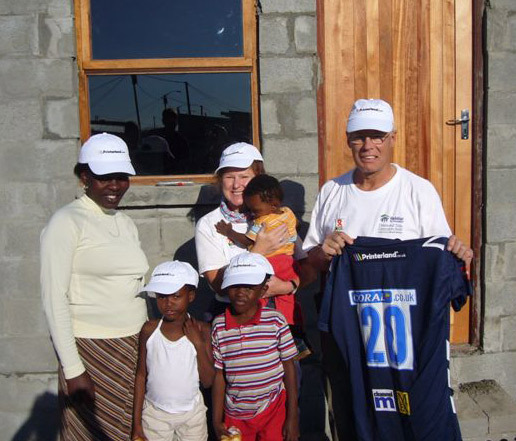 'Printerland in the Community' liaison Officer, Alan Hulme and his wife Jenny joined a team of volunteers for a week in the Cape Town Suburb of Mfuleni where they were set the task of building a new house for the Yibe Famliy. Upon completion of the build, an indigenous tree was planted in front of the house and there was even a visit from Desmond Tutu (Patron of Habitat for Humanity South Africa) who gave a very moving speech and thanked all of the volunteers.